Rockstar on Tuesday launched a new adversary mode for Grand Theft Auto V’s online component, GTA Online. The new mode, dubbed In and Out, is described as an intense version of the capture mode in which one team attempts to steal eight packages that are being guarded by a well-armed group of defenders and return them to their team’s territory. If an attacker is killed while carrying a package, it will drop on the map where they died. Interestingly enough, defenders can’t pick up packages that have been taken, meaning if a package is dropped around the corner, they’ll need to defend it from that spot. To celebrate the arrival of the new online game mode, Rockstar is offering Double RP and Double GTA$ through May 5. What’s more, players can take advantage of discounts of up to 50 percent off select merchandise at Ammu-Nation including guns, ammo, weapon mods and explosives. 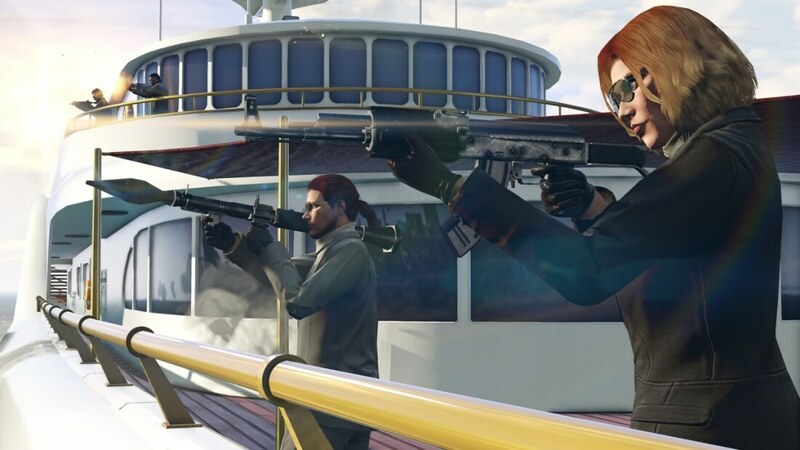 Grand Theft Auto V’s multiplayer mode is free to play but is bolstered with microtransactions, something that’s apparently been making Rockstar quite a bit of money. As part of Leslie Benzie’s lawsuit against his former employer, it was revealed last month that Rockstar has collected at least $500 million in revenue from in-game purchases. Rockstar is still working on single-player DLC but with its multiplayer component doing so well, the company may be well-advised to delay the launch of said DLC for a while longer.